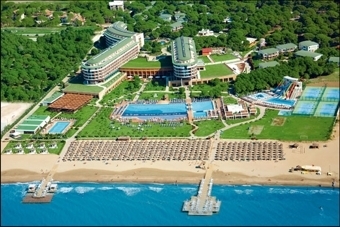 Antalya Airport to Side Hotels Transfers in Kumkoy, Colakli, Evrenseki and Sorgun. Side its located on the eastern part of the Pamphylian coast, 65 km from Antalya. Side is close to Manavgat, here in Side you will find the best Hotels with 4-5 Stars and the best andy beaches for your stay. To get from Antalya Airport to Side Kumkoy, Colakli, Gundogdu, Sorgun, Titreyengol and Evrenseki you need a transfer this will take with a shuttle service 2-3 hours and with a private transer 1 hour. From Gazipasa Airport it will take 1 hour and 30 Minutes. We offer private Transfers from both Airports. You’ll find the quiet beach village of Side on the Turkish Mediterranean, an hour or so from Antalya. Expect a flawless mix of old and new in this Roman-inspired resort, with its untouched old town and glamorous harbourside; a blend of impressive ancient sights (like the amphitheatre) and chic waterfront restaurants await you. On both sides of the maze of winding streets are two sandy beaches, which are perfect for relaxing in the sunshine or tackling some high-octane water sports. Holidays to Side are ideal if you want a laid-back break with friends or a loved one, and thanks to those soft, sandy beaches, they’re perfect for family breaks too. We offer private Transfers from Antalya Airport to Side in a air conditioned Van. The Transfer duration takes 1 hour and the price is 44 € for 2 Persons you can check all rates here Side Transfer price You can book your Transfer online and pay uppon arrival to the driver in Euro. We also offer private Transfers from Gazipasa Airport to Side in a air conditioned Van. The Transfer duration takes 1 hour and 30 Minutes and the price is 72 € for 2 Person you can check all rates here Side Transfer price You can book your Transfer online and pay uppon arrival to the driver in Euro. Book your travel offers at our site to all major holiday destinations by coach, taxi or private mini buses. You will experience that how much you can save and enjoy your own private transfer. We have a fast online booking service with friendliest and dedicated staff to work with us. If you want to reach your holiday destination in Side safely, quickly and without any discomfort very affordably then choose us and you will always be there on time. With most economic price our Antalya Airport to Side transfer facility is done very effectively. Side Airport Taxi Transfer, book your private airport transfer online and pay upon arrival to the driver.